I spend a lot of time looking for unicorns in our kitchen. Not the mythical beasts, I imagine it would be slightly terrifying to find one of those in your kitchen. Nope, I search for recipe unicorns. 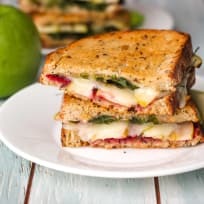 Elusive recipes that have it all: quick, simple, delicious tasting, made with at least a few wholesome ingredients, and will fit in a toaster oven. They are hard to come by but every once in a while one magically appears. Last year it was addictive roasted sweet potato rounds, veggie hummus flatbread and a fluffy lemon blackberry baked pancake. 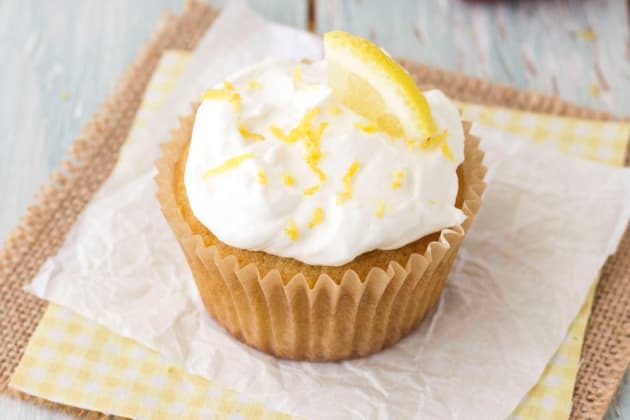 Then, just this week, these lemon olive oil cupcakes popped into our kitchen. They’re adapted from my favorite Christmas gift, Mark Bittman’s How to Bake Everything cookbook. 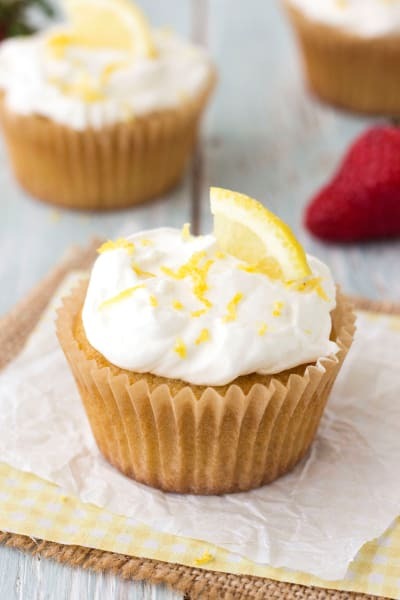 The recipe uses simple ingredients and combines the lovely flavors of olive oil and lemon in one small batch of just six light, tender, not-too-sweet citrusy cupcakes. But what gives these cupcakes full unicorn recipe status? They’re easy to customize and experiment with (use any citrus you like: orange, lime, grapefruit, or clementine). Plain or dolled up with strawberries and whipped cream they taste fantastic. They don’t have a lot of sugar (just ¼ cup!) though you can always add a tablespoon or two more if you want. 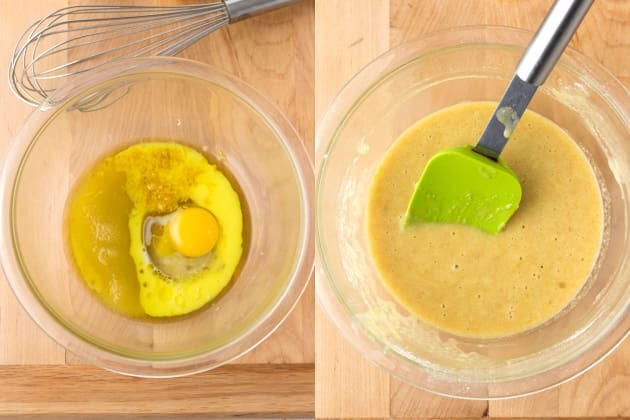 The batter is ridiculously simple to throw together. 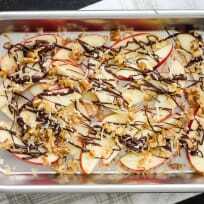 Just whisk the dry ingredients, whisk the wet ingredients, fold them together and bake. Easy, peasy. Are you an over-mixer? I’m notorious for over-mixing cake batter. 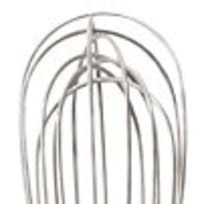 The Virgo in me wants a perfectly smooth batter but all that mixing leads to tough cupcakes with LOTS of large holes. So just make sure there are no big lumps and then get that batter quickly into the toaster oven. If your toaster oven has an adjustable baking rack, use the bottom placement. For convection toaster ovens reduce the temperature to 325°F and start testing for doneness at 10 or 11 minutes. 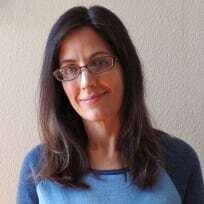 Now, you’ve got some big decisions to make my friend. 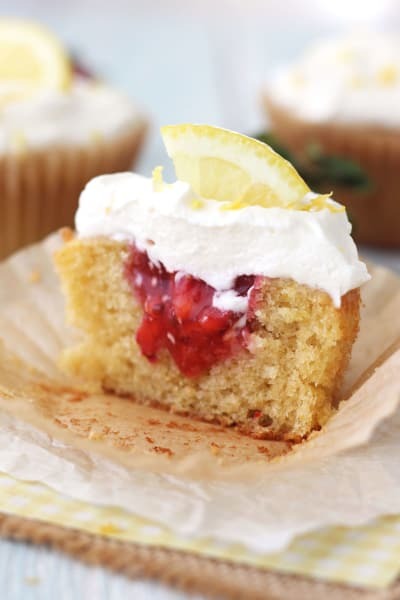 Should you enjoy your cupcakes plain, served with a light glaze of lemon juice and honey or do you want to get fancy? Fancy in our house means whipped cream and a mixture of fresh strawberries mashed with preserves. Depending on how generous you are with the whipped cream you might have a little leftover. 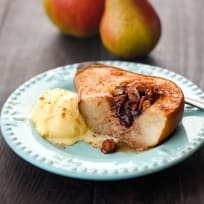 The perfect small amount for topping a summery blueberry mango crisp or sandwiching between small batch pumpkin spice cookies. 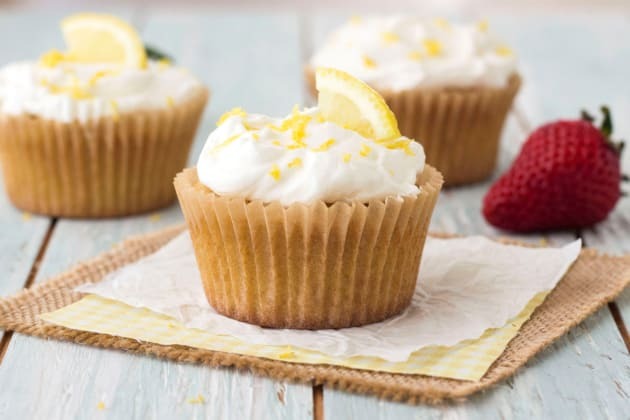 Frosted, filled or plain, set a plate of these lemon olive oil cupcakes out and I guarantee they’ll magically disappear. Adjust your toaster oven’s baking rack to the bottom position and preheat to 350°F. 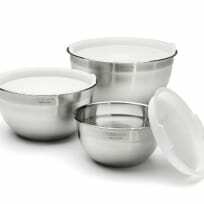 Line a 6-cup muffin tin with cupcakes liners. Whisk together the flour, baking powder, baking soda and salt in a small bowl. 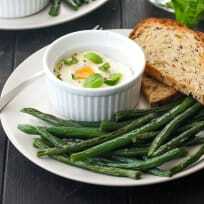 In a medium bowl whisk together the olive oil, sugar, egg, milk, vanilla, lemon zest and juice until well combined. Gently fold the flour mixture into the wet ingredients. Mix just until combined and no large lumps remain. Divide the batter evenly among the prepared liners, filling each about 1/2 full. 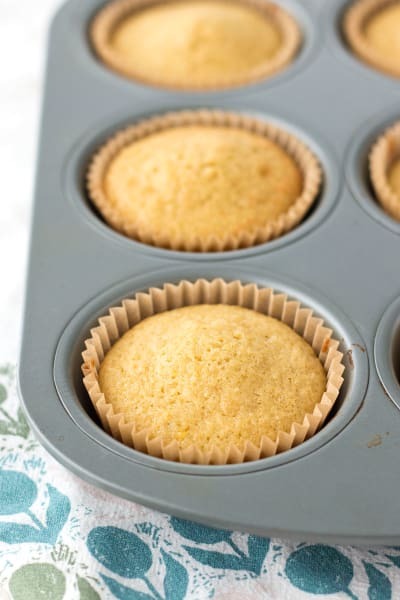 Bake until a toothpick inserted in the center of a cupcake comes out clean or with a few small crumbs attached. About 13 to 15 minutes. Transfer cupcakes to a wire rack and cool completely. Combine the preserves and chopped strawberries in a small bowl and lightly mash with a fork. In a medium bowl, whip the cream with a whisk or an electric hand-mixer until peaks begin to form. Add the honey and vanilla and whip until stiff peaks form. Gently scoop out a little of the center of each cupcake using a melon baller or spoon. Divide strawberry filling evenly among cupcakes. 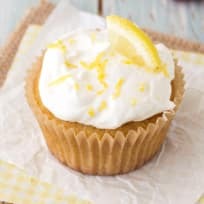 Generously top with whipped cream and a sprinkle of fresh lemon zest if desired. 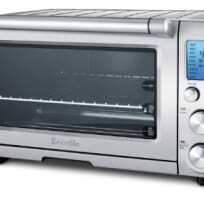 Convection Toaster Ovens: Bake at 325°F for 11 to 14 minutes.